The Stealth Black is different to the other St. Vincent models not just because of the all-black matte finish. It comes with an Ebony fretboard instead of Rosewood, the neck is crafted from Maple instead of Rosewood and the back of the neck is finished with an ultra-light satin polyurethane finish instead of gunstock oil and hand-rubbed special wax blend. 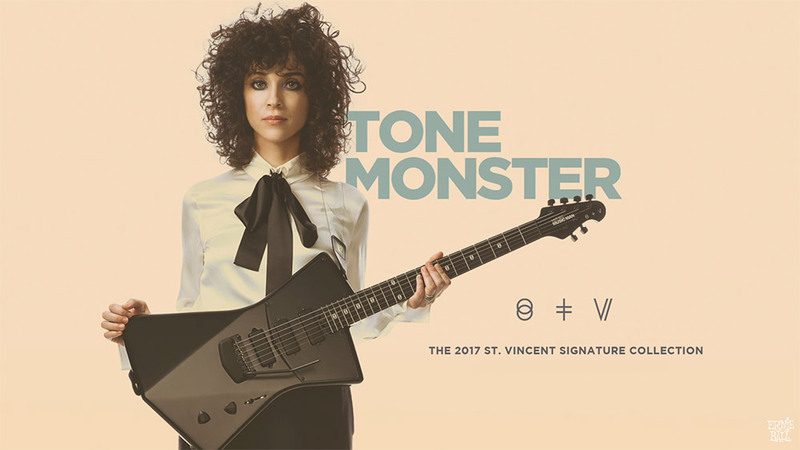 The Ernie Ball Music Man St. Vincent was envisioned and designed by St. Vincent with support from the award-winning engineering team at Ernie Ball Music Man. The unique body shape was crafted to perfectly fit her form, playing technique and personal style. Crafted in Ernie Ball Music Man’s San Luis Obispo, California factory, the St. Vincent signature is available in black or custom Vincent Blue, a color hand-mixed by Annie. 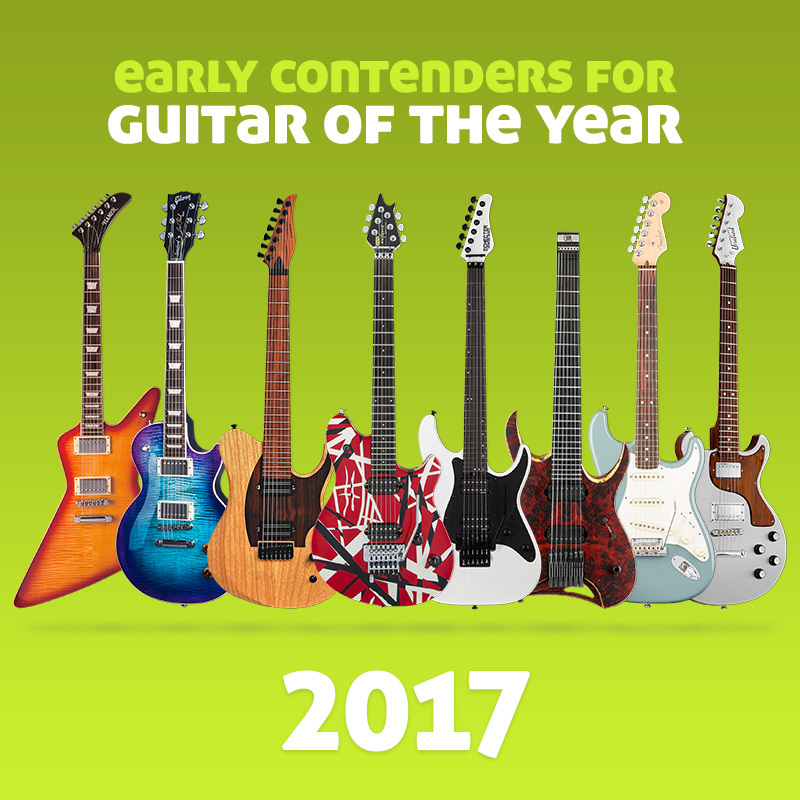 New colors for 2017 include Polaris White, Heritage Red, Tobacco Burst, and Stealth Black. Featuring an African Mahogany body, Ernie Ball Music Man tremolo, gunstock oil and hand-rubbed Rosewood neck and fingerboard, St. Vincent custom inlays, Schaller locking tuners, 5-way pickup selector with custom configuration and three DiMarzio mini humbuckers, searies parallel wiring scheme, the guitar also comes complete with Ernie Ball Regular Slinky guitar strings.